Saint Joseph’s Day, which is on March 19, is a complex feast day with many traditions based upon the concept of thanksgiving. You can read my detailed article about it on The Inquisitive Eater at http://ow.ly/uuAuT. But let’s cut to the chase: we all really want to know about dessert, right? That’s where sfince di San Giuseppe enter. Sfinci are fried cream puffs served hot with a dusting of cinnamon, confectioner’s sugar, and honey, or, cold and open-faced with a smear of ricotta cream and decorated with candied orange (as pictured here). Depending on the town in Sicily, sfinci may have a different appearance and different ingredients. Further afield, in Naples, for example, they even have a different name: le zèppole. 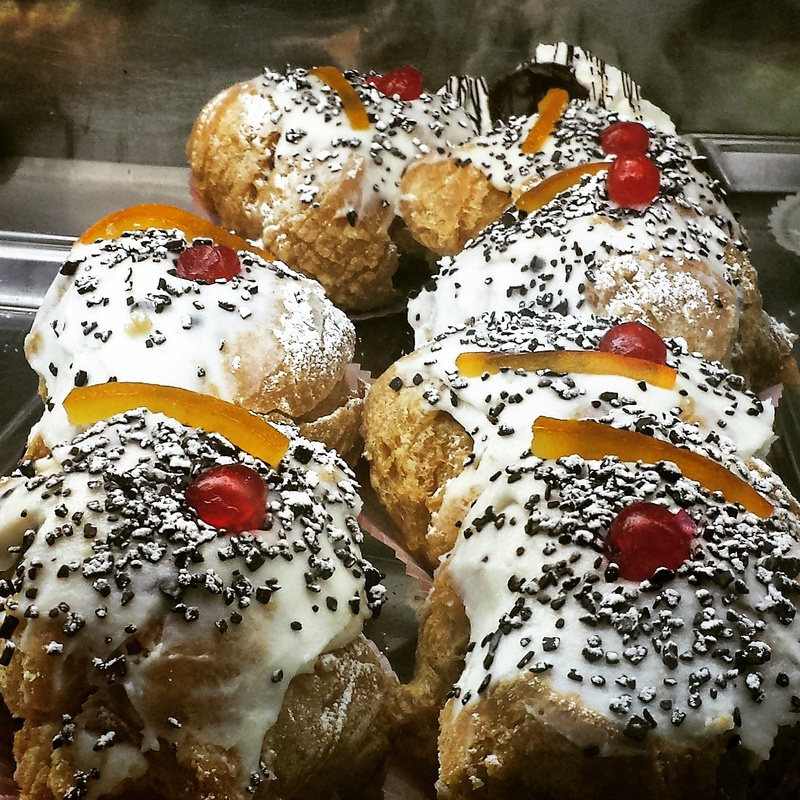 In Rome, they are called Bignè di San Giuseppe.